I absolutely love this idea. 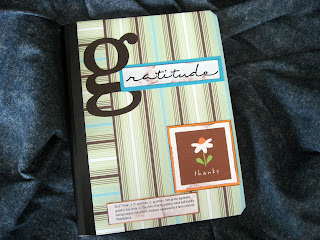 A "Gratitude Journal". A place to tuck away little tidbits about all the things you're grateful for in life so you can come back and enjoy the read later on down the road when you're feeling down or need a little pick me up. I've written about my love for journals and my belief in their importance for people's lives as well as for those of future generations before in a past blog post. I think that they're important and I think that they can have a great deal of use and significance in someone's life depending on how they are used. To me, a Gratitude Journal is a terrific use. One that can live on and on. The journal shown here is designed by FromShirlee on Etsy, who has a shop filled with wonderful ideas and a warm, cozy feel. 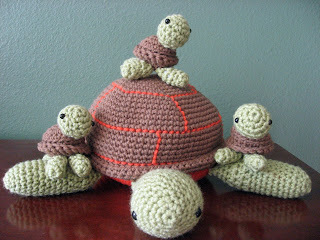 Not only do they offer journals including the one I've featured here, but they also offer baby blanket throws and other knit items (check out the little Amigurumi turtles! SO cute!) as well as cards and other paper crafts including scrap book pages and more! This shop is family run by three generations of crafty and talented women and there's a terrific story on FromShirlee's profile all about it that's sure to make you smile. So when you stop in, take a browse through her items but also take a peek at their profile because it's worth the read! And not only are these talented women working together to create beautiful 100% handcrafted items for their shop, but they also take custom requests. Something that, especially with the scrap book pages and cards, I find not just useful but inspiring as well! TO VISIT FROMSHIRLEE ON ETSY YOU CAN CLICK THE PICTURES ABOVE OR, IF YOU'D RATHER, CLICK RIGHT HERE! You may also enjoy a visit to FromShirlee's blog or Facebook page! That was a lovely feature about us. Thank you! they have a cute crochet octopus too.